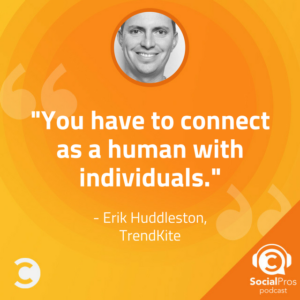 Erik Huddleston, CEO of TrendKite, joins the Social Pros Podcast to discuss the evolution of PR and amplifying earned media through social. Whether you realize it or not, when your business releases a product or service, you are creating a story. The content, the conversations, the social media engagements, these are all pieces of a greater arc. As a result of today’s technological landscape, these stories have a far greater reach and lifespan than ever before. Traditional roles of PR and marketing are evolving, and, according to TrendKite CEO Eric Huddleston, should be heavily integrating modern developments like AI. Through the use of tools and services like TrendKite, you can take in an even more significant picture and shape the arc of your story before it even begins. Erik’s advice is to find a harmony between your own voice and your brand’s and find a way to share that through social media. Besides Adam and Jay, Erik would love to chat with Slack’s CEO and ask why he still has a Skype account! Jay Baer: Welcome everybody to Social Pros, the podcast for real people doing real work in social media. I am as always, Jay Baer, founder of Convince & Convert. Joined here on episode 299 for the big Social Pros Show by my special Texas friend, he is the executive strategist and don't you forget it, for Salesforce Marketing Cloud, from Austin, Texas, put your hands together unless you're driving for the one and only, Mr. Adam Brown. Adam. Adam Brown: Keep your hands at ten and two. Although, Jay, I hear now because of airbags they're no longer teaching the steering wheel ten and two procedure anymore. Did you know that? Jay Baer: I did not know that. Are they going like 12 and 6? Are you like stuck in your hands? What is the current advice? Adam Brown: I'm so glad to be here. Jay Baer: If they pull us off the air now we would have been so close to a giant [inaudible 00:01:05] but no. We've been talking about it for a couple of weeks, look forward to our week of four different shows celebrating the 300th episode of Social Pros. We're bringing back a lot of former guests, former hosts, it's going to be a blast. It's going to be live on Facebook. Tune in for that. If you're not sure when or how it's going to be, you'll be able to find it in the socials but just go to socialpros.com for all the details. Before we get to that celebration, we have an amazing episode today with a brilliant guest who's OG in social. He's been around as long as Adam has and as long as I have. He's been doing this since the very beginning. He's currently the Chief Executive Officer of TrendKite. Welcome to the program, Erik Huddleston. Erik, thanks for being here. Erik Huddleston: Really appreciate it, guys. Jay Baer: Tell us a little bit about TrendKite and how it works. It's a fascinating platform for taking a look at what you're doing in earned media and figuring out how that actually build your business. A huge focus right now on the media relation, public relations, earned media site, influencer marketing as well. We'll talk about all those things in today's show but let's frame it up for the listeners please and give them a little explanation about how TrendKite works. 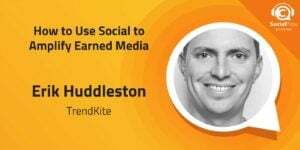 Erik Huddleston: TrendKite helps big brands and their agencies to quantify the impact the PR is having on business outcomes and then helps organizations to optimize their earned media in the context of their paid, owned, shared activities outside of earned. Jay Baer: You would use a TrendKite subscription in parallel with a social listening solution or a response platform because you're going to use it specifically to tie back the results of what you're doing in the earned media space. Erik Huddleston: That's exactly right. Jay Baer: Does TrendKite also handle offline media? Will it track and show you results for television and radio and print and that kind of thing? Jay Baer: That was a big sigh, sounded like, maybe you don't want to. Oh television, come on. Erik Huddleston: Yes, for all the people that haven't figured out what the internet is, we also will optimize for that. It's still a massive part of a ton of organization strategies and if it's not well integrated with everything else then you're leaving a lot of opportunity on the table. Jay Baer: Look, not for nothing. I mean, there's a lot of companies out there, rightly or wrongly I'm not going to make a value judgment here, who even if you get tremendously effective affectatious digital placement, they're still more jazzed about that article in a magazine or the New York Times or the mention on television. It's a byproduct of legacy thinking about the power of traditional media, isn't it? Erik Huddleston: It is but the other thing that's one of the tricky parts of earned media is that it's not generated by you and it's not always generated by the stimuli that you'd like it to. One of our biggest customers is one of the gig economy companies and so they operate in a few hundred markets. When one of their affiliated folks does something bad or something bad happens to them then first place that's going to show up is on the evening news that has big impact on brand and it also for a period of time drowns out all of the oxygen out of the earned media environment for them until that blows over. You have to think about the offline sources from a reactionary defensive standpoint as well as part of the integrated proactive campaign management. Jay Baer: There's obviously increasing conversations about integrating what's often called the PESO model, paid, earned, shared and owned media. Do you feel like public relations practitioners, media relations folks are at an inherent disadvantage without TrendKite because it is a little bit more difficult to use attribution modeling without something like TrendKite to prove the downstream effectiveness of what they're doing? Erik Huddleston: It's at a disadvantage for thousands of reasons not just attribution but attribution is one of the most significant because you don't have the same direct tie that you have with other forms of media. If I've got a display ad and somebody clicks on my display ad, lands on my website then put a product in their shopping cart and checks out, the path is pretty clear. Social has gotten pretty good itself. If somebody reads an amazing review of the latest smartphone and then types www.blah.com into their browser, somebody else is going to take credit for that. 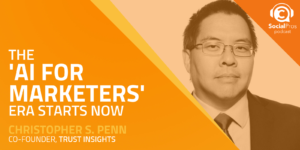 Jay Baer: Yes, they certainly will. What mistake do you think people are making most when they are trying to tie social back to public relations and media and vice versa? Erik Huddleston: They don't think about the story. They think about the conversation threads. When you're talking about earned media you're usually talking about larger story arc and so most of the time where you want to start your social optimization is from the story and then work your way into the conversations about that story. Instead of @billybob making a comment about your product, you want to look at the story arc surrounding, say, your product launch or the reaction to that smartphone review because one of the things that social did to public relations was it elongated the shelf life of a story. I'm using the word story pretty loosely by a significant amount and it also change the dynamics from the spin on the story is set at the time that some editor hits prints but today it's just the beginning for a conversation. I think from the PR side, they haven't yet learned how to best integrate with the social team in order to manage the ongoing conversation and optimize the ongoing conversation about those big placements that they get. Likewise, I think the social folks from our performance standpoint they don't fully appreciate the expansion of the social footprint that's created by digital earned media and long form video or blog post or traditional digital news articles. Jay Baer: You talked about this notion that earned media is difficult because it's not fully or even partially in some cases under your control. What we're seeing and we've talked about in the show a lot this year is that brands are gravitating toward, "Influencer marketing," so that you get a foot in both camps. You get some semblance of earned media and it's not strictly owned, it's not an advertisement perse but you also get additional control because you're working with these influencers in a proactive structured capacity in essentially gravy training off of their audience. It's a hot, hot trend as you know. Where do you think brands are making missteps as it relates to the massive embrace of influencer marketing? Erik Huddleston: The two biggest missed opportunities that I typically see brands make, maybe it's three. The first one is using social as the way of identifying and prioritizing the earned media influencers that they're going to pitch the story to because you find out a lot more about a blogger or a journalist from watching the social feed than really you do just by reading their latest post. That's number one. Number two is brands tend to not appreciate the amplification effect of social from an influencer standpoint. In other words, it's great that you got your Wall Street Journal article and you probably thought very hard about who you should be spending your time on whether it was Trade Press or the Niche Talking Head bloggers, or whether it's some scaled mainstream media journalist. What they don't spend enough time on is looking at the amplifiers that once that story is out there is going to shape the way the conversation goes and the reach that that story has through social channels, I don't call the stat but I'm sure one of you probably has it at the ready, the trend towards news consumption via social is massive. If you want to optimize both the reach of that amazing review or feature story that you got written, if you're not thinking about the amplifiers which is a separate overlapping category of influencers in social, you're doing your entire brand a disservice. Jay Baer: Do those amplifiers typically amplify a particular type of story about a product or categorically? They are amplifiers about sports or they're amplifiers about the Cleveland Browns or they're amplifiers about something more narrow? Erik Huddleston: You hit on three of probably 20 axis that you have to think about. A lot of times they're geographic amplifiers, they're personalities in a city, sometimes they are topical amplifiers. They are football analyst for ESPN. Sometimes maybe they are just the power fans for the Cleveland Browns that know every stat and people find them super engaging. Sometimes their interest or topically oriented, that they are a doctor that's really into concussion protocols in sports. Whatever your angle is, there's going to be a massive set of dimensions on which you're going to want to manage the conversation of your story on and identifying the amplifiers for every dimension that's going to matter for your story as complexity that frankly it just never existed in the earned media or PR world previously. Jay Baer: I know those amplifiers exist offline as well, they're just largely invisible. You can't make a list of them. There's people who, I mean, just a minute ago my wife brought me a newspaper article. I still get a daily printed newspaper. I know that's hopelessly anachronistic but I do, "Hey, check this out," she's amplifying this piece of news to me. I'll then pass along to somebody else at a hockey game or something like that. The ripple continues, it's just hard to gauge that. I just want to ask you a follow up on that, Erik, if you have a piece of earned media and there's a story written about your brand and now you've got all these amplifier individuals across these 20 axis of interest and those axis may be geographical, it may be product level, it may be categorical, it may be relationship. There's a lot of reasons why somebody would care about a piece of media coverage just proportionately to any other piece of media coverage. What is the brand's role in activating those amplifiers? Do you reach out to them in social and say, "Hey, did you see this article about the Cleveland Browns? I just want to make sure it was on your radar." Mechanically, what is the brand in your estimation what are they supposed to do to make sure that this sort of second layer of amplifiers actually knows what's happening or do you not activate them, you just let them amplify and then you track it and interact with them? Erik Huddleston: Proactive and reactive. You want to do both. On the proactive side, honestly we all have learned this from the early social influencer management initiatives. Your work has to start months and months and months in advance because those are relationships not ad buys. You have to connect as a human with these individuals. They have to resonate with the values of your brand and the product of your brand and frankly, however that management is done, they have to see you as a person and a nice guy they want to hang out with for the most part. The idea that I'm going to launch a product next week and I know it's going to break on TechCrunch and so I start scrambling around, try to find some guys to talk about it, that's way, way, way too light. Then there is the short term situational things as the conversation unfolds, it's going to naturally bring in aspects of the story or amplify aspects of the story as it unfolds that aren't really in your sweet spot from a nurture program standpoint. That's where you have to be more creative in building authentic conversations in social. You have to understand who those situational players are that have influence and then be able to naturally bring them into the conversation. No different than if it's Sunday afternoon and you get sucked into a Twitter conversation. It very well may be like, "Wow, @clevelandbrownspunditone I completely agree with you but it still seem like a dangerous play." "@doctorconcussionexpert care to chime in?" You had to have a decent enough hook that you can bring in the amplifiers that you don't have the relationship with. Then, from a reactionary standpoint, you have to do your classic social listening exercises with an eye to knowing how to manage the conversations to stay on message and insofar as you can, control the conversation with your influence or network. When somebody hops in, you need to know who you have the best relationship with that you can use to counteract a conversation going in a bad direction. Adam Brown: Erik Huddleston, CEO of TrendKite. It's so great to have you on the show. Three things I've written down that you've shared and these are near and dear to my heart because I spent almost half of my career in the world of public relations but this idea of A, you got to have the right message or the right story and Jay and I talk about that almost every week. Number two, you've really got to have the right influencers and understand who these influencers are not just because they are the ones that are talking about a subject, Boolean keyword, and have the most influencers. Then third, it's really interesting to me was this idea of shaping. Once the information is out there, don't miss that opportunity to shape the story. My question for you as I want to go through all three of those, my question for you is around that influencer identification. I can remember in my days in public relations on the corporate and agency side, the master PR practitioners they had their [inaudible 00:18:15], they had their index cards of here are the most influential people. They were on a first name basis. Do you believe that PR practitioners today still have that rapport with the influencers like they would have with a traditional journalist and how can a product and technology like TrendKite really help them to understand where they should be putting that investment and what they should be putting that investment in in terms of how to build rapport? Erik Huddleston: There's two massive topics here to talk about, that's a really well organized way of thinking about the problem. Let me talk a little bit about why, I'll call it the generation of earned media by traditional PR practitioners has resulted in I think PR being more disconnected from the rest of integrated marketing. Then talk a little bit about how that scales or get solved. The core problem is yes, PR professionals, those relationships are their currency. I was talking to a very well-respected PR professional that had been an editor at the Wall Street Journal, had ran PR firms. We were having this lively debate about AI technologies and the art of influence. The crucible moment was she, I think of it like a few good men moment in the conversation, kind of, "You can't handle the truth," because she got very passionate and she told me like, "Hey, you can't replace these relationships that I have. When I go to New York I go out drinking all night with super influential journalist X. That can't be replicated by technology. That can't be replaced through technology." I told her, "You're absolutely right and think about that, let's just pretend that you are starting a PR agency today. How many of those relationships do you have where you can go out drinking all night with a journalist and you can call them up ask them a favor and have him or her write a story for you? Is that three, four, five? How many chips can you call in a year on that relationship? Two?" You're talking about as an agency being able to somewhere between 10 and 20 stories a year. How many clients do you want for your agency? How many high value pieces of earned media need to get generated for them within a year time period? You can see very quickly that it's just not a scalable model. That in large part is what's caused a problem with earned media in general because guess what, paid is scalable and owned is reasonably scalable. Audience building is one of your biggest challenges there. Shared is becoming scalable. People got great strategies for scaling their shared media efforts. As a CFO, you just can't put meaningful dollars to work in earned media using the traditional approach as codified by PR. What you really have to do instead is you have to one, have to identify the influencer/content creators that could tell your story the best, with the most authenticity reaching the right target market. Then you have to align your interest i.e., the story that you want to get told with their interest. Telling a compelling story that their editors care about and their editors frankly care about selling advertising as proxied by social amplification that their story gets, how much is it getting shared and how many paid views is it going to get. What you had to be able to do is you had to be able to using data, explain to that content creator/influencer that writing your story is going to get them more social sharing and get them more paid views than the typical story they would have written. That's why the future of earned media is all ... It's an AI problem because you have to analyze all of the trending topics and how they’re performing. You have to analyze everything that every content creator has written about. You had to break that down by target audiences, the publications that they write about, their social influence and the demographics of their audience in social and then you have to figure out what they’ve written about in a reasonable period of time and how those things have performed so that you can articulate a story that’s a symbiotic win-win between the two. Adam Brown: Erik, I hadn’t really thought about it in that manner. I thought about the evolution of you as a PR practitioner selling a story to a reporter, to a journalist and having to sell it in a way that that journalist can then go to his or her editor and say, “Hey, this is why this needs to be on the front page of the publication tomorrow,” but what you’re talking about is slightly different. Now you’re selling the story to an influencer or a journalist or a reporter basically saying, “Hey, this is going to get you a hell of a lot more clicks,” and that’s the metric or the currency that the journalist or reporter is looking for today. 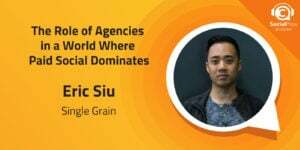 Given that, the analytics and the measurement on the agency or the practitioner side are very different and that’s been something that the public relations hasn’t had a bigger grasp on compared to their advertising brethren and advertising brethren typically can own that last click attribution like you talked about. They can own the number of views or the number of eyeballs. PR really hasn’t hand that because of the need as we’ve been talking about earned and owned media. Talk a little bit about kind of how that shifting and how technology like TrendKite can really kind of tee up a whole different way of measurement that is a little bit more attributable? Erik Huddleston: Yeah, absolutely. At its foundation, the approach that we took at TrendKite was an AI heavy approach. We actually built a map of the earned media landscape. All of the content outlets, all of the influencers, journalists and content creators that create content for those outlets, the content that they’re creating itself. Natural image processing, identity extraction, now then here are the topics that they’re writing about then classify our algorithms, “Oh these articles are all about the company that is Apple,” or, “These articles are all about the product that is the iPhone X then machine learning and this subset is all about the iPhone 10 launch." Here are all the publications talking about that. Here are the target markets that they’re reaching, here’s the resonance of those stories with those target markets using like maybe social amplification is a proxy for that. You keep building out that model and then it’s all about integrating to the rest of paid and owned and shared. Integrating into the martech stacks, you can take the business outcomes that the SEO team is getting, that the digital team is getting and you can integrate that to that model and be able to connect the business outcomes to the earned media about those topics. Now then PR is able to take the credit for the piece of that SEO that they were responsible for. The same way think about the organic traffic that the digital guy is so excited about. Well, guess what? A big chunk of that traffic was actually from those same back links from those articles and a lot of it had nothing to do with back links at all. I just read a review of an amazing product and then a couple hours later I wandered over to the website and with innovations in ad tech and innovations in the availability of click stream data, you can actually now connect the link or connect the dots between that influence and actual conversion events on your site. PR and you can just go around the CMO table, all the budget centers, make that same kind of case. Really, that’s bringing to light the fact that probably since the dawn of time or at least since the dawn of digital that the PR has been kind of the like the dark matter of the marketing universe. Adam Brown: Exactly, PR has typically only been something that’s important during an issue or crisis and in terms of communications and mitigating issues, we haven’t had that level of street cred with our marketing brethren during as you said your attributions or promotions or things like that. That brings me to my last question before I hand it back over to Jay. Erik, issues, crisis communication is still a huge, huge part of public relations and social interaction, social communication is a big part of it as well. 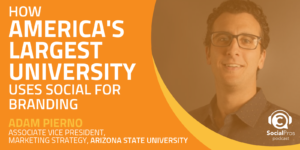 Talk a little bit about how technology is kind of changing issues and crisis communications and how you can use the same technologies and the same kind of analysis to better understand what people are saying during an issue or crisis. Try to mitigate some of the incorrect information out there and promote information that’s positive or at least accurate. Erik Huddleston: Oh my gosh. It’s amazing. I’ll just machine gun a few of the ways that the crisis management landscape is getting changed. The first is identification, knowing when a crisis happens you now know almost instantly as that unfolds because as we learn from the days of social listening, you’ve got a worldwide radar system that can get you to the crisis so much faster than you used to. The second thing is again advances in AI and big data so that you all of the data. Anomaly detection algorithms can now tell you when something is going from a manageable level to a crisis or when an opportunity presents itself in somebody else’s crisis. A good example of that would be Uber and Lift, if you recall when the Uber founder showed up at Trump’s Technology Council and you got the delete Uber hashtag meme backlash. There was a secondary meme that didn’t get a lot of press which was download Lift and that was a huge opportunity as best I could tell was missed by Lift because it wasn’t identified early enough as that anomaly in the data started to trend in a direction. The second is going back to our influencer management discussion, the ability to know who you need to reach out to in the typical types of crisis that you’re going to have for each of the target markets that that crisis is likely to affect. If we pick on Uber a little further, we know the categories of crisis that they have. Some of them are local market crisis or some sort of violent crime involving a driver or passenger, there’s wrecks or deaths or similar issues, some of them are corporate related. Those have been dying down with management changes but for each one of those, you know the target market that’s going to influence. That’s going to influence my drivers in the local market or ridership in local market. I know for each of those local markets based on big data analysis and AI technologies who influences my target market the most. When London says they’re going to shut down Uber in London, instantly as a PR professional I know my call down list that I need to reach out to in order of impact on my drivers or my driver pool to minimize the potential defection or impact to the business that that’s going to have. You just keep going down the list, you could talk for an hour about examples like that that are changing the face of crisis management. Jay Baer: That is a huge advance from where we’ve come from. I love your thinking there, Erik. This idea of having the list of the ready and the list of circumstantial and situational and scenario-driven and it’s ranked ordered by impact. That is a really interesting way to go about a crisis response. I want to take just a second and be back with more from Erik Huddleston from TrendKite in just a second. Just take a second to acknowledge Salesforce Marketing Cloud, longtime sponsor of the show, employer of Mr. Adam Brown and many, many other thousands of smart people. We should acknowledge that they have a downloadable new guide called, "The Business Leader’s Guide to Becoming a Social Business." It's really interesting document. It shows you how to assess the skills of your current social team, shows you how to track missed opportunities like some of the opportunities that Erik just pointed out just a moment ago. 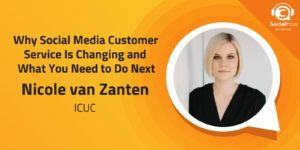 How to position social for real success inside your larger organization and how to analyze the results of your social media, all things that Social Pros listeners should care about. You can get this for free from Salesforce Marketing Cloud by going to bit.ly/socialbusinessguide, that’s bit.ly/socialbusinessguide all lower case. Adam, back to you. Adam Brown: Jay, thank you, and Erik. It’s so great to have you on the show. One of the things that fascinates me and Jay said at the top of the show was you’ve been in this business for a little while just like Jay and myself and obviously seeing this huge transformation. My curiosity is what is the biggest changes you’ve seen, I would love for you to share with our listeners a little bit about the creation of TrendKite and you’re becoming the CEO and some of the things that you’ve done to lead up to this. You’ve always had such a profound look at marketing and social data but with a PR and communications angle and I think that’s fascinating. What’s the biggest change you’ve seen in your multiple decades of doing this? Erik Huddleston: The most interesting trend and it’s actually a super recent one is watching tidal evolution in traditional PR practitioner roles inside of organization and the number of PR practitioners whose title now includes either digital or social in addition to something that would be traditionally recognizable by PR like media relations or corporate communications, public relations, et cetera. Jay Baer: Are those title warranted in your opinion? Erik Huddleston: I think that they’re necessary for the evolution of integrated marketing. It’s such a powerful force for brands and if we don’t find ways to better integrate it to owned media, owned content efforts because basically PR is the anti-owned media has all the same power it’s just you didn’t have all the content creation costs associated with it. You want to be able to capture that value in the same way all of the positive earned media that you get from PR has some particularly when it’s specifically mentioning products and services has very similar, albeit higher credibility in conversion rates characteristics to paid and you ought to be able to better exploit those. Likewise, the lines between the blogger who writes the review of your product and then talks about it on Twitter, that interplay between earned and shared needs to be actively managed by PR. I think that trend of deeper integration is not only great but it’s necessary. Then if I do look backward farther in time it’s kind of hilarious because as social was first getting off the ground, PR owned social in the vast majority of companies. It was sad and ironic that they as a class, that we as PR professionals just didn’t fully comprehend the business benefits that it can have and it became much more of a digital tool and now we’re starting to see that pendulum balance a little more between the two. Jay Baer: One of the things we’ve been talking about in this podcast is a lot of kind of a disadvantages of public relations on as you said kind of relinquish the control of those first generation Twitter handles not sometimes kind of understanding that kind of intersection of paid, earned, and owned. There are some things though and I know you agree that PR can do better than nobody else in organization. We’ve talked about storytelling here, we talked about other things. I love from where you stand and when you talk to PR practitioners on the agency side or the corporate side. What are some of things that you see that they are doing again nobody in the organization that can do better? Erik Huddleston: When your hits are alluded to one of the two big ones, it's relationships and influence and it’s storytelling. PR practitioners are phenomenal at telling stories and building and maintaining relationships. If we get in a better integration of PR with the rest of the organization’s marketing infrastructure, the power of PR practitioners building phenomenal relationships with content creators and amplifiers and then tell the brand story through those channels, they’ll be unstoppable because as we know the nature of social is you can’t control it. I can decide what I’m going to put on my website, I can decide my ad copy, I can’t decide what people are going to say on Facebook. I can’t even always see what people are going to say on Facebook and I can’t tell a long term narrative between the three of them. I think that that’s the superpower of PR and that’s a multiplier on top of all the other activities of an organization. Jay Baer: I want to ask you one more, Erik, I should’ve brought this up earlier. What is your take on Google and Facebook sort of trying to disintermediate media with AMPscript and things like that amp pages and sort of say, “Look we’re going to allow you to talk about the news but we’re not going to actually direct the traffic to your pages.” That seems like a little bit of a bad actor but perhaps I’m looking at it the wrong way. Erik Huddleston: I don’t think it’s completely nefarious, a lot of that is about customer experience, consumer experience. Jay Baer: Faster page loads and things along those lines. Erik Huddleston: Honestly, we’ve sort of seen where that’s going in large part and there’s just not a viable economic model that will fuel that. If the content dries up it doesn’t matter how beautiful the app is. My sense is that the content will continue to be monetized with the content creator in control. Erik Huddleston: Yeah, we’ll see. The big issue is that nobody’s shown a monetization strategy that can support the quality of content. Jay Baer: Yup, that’s the challenge, right? I mean, you certainly would save some money if you don’t have to worry about your own website and you’re just producing content natively on Facebook, Twitter and other platform, Instagram. I mean maybe the closest analog to that concept is Snapchat stories, right? This company is really doing discover and using long form, real kind of juicy, chunky content on Snapchat exclusively, again no monetization schema just yet but we’ll see, I mean five years from now I continue to wonder if you’re in the media business are you going to need your own website, is that something that will still matter and I don’t know the answer to that. Erik Huddleston: There’s no question that we live in a multichannel world now. I think it’s going to be about how you take your content assets and best adapt them for the channels available. 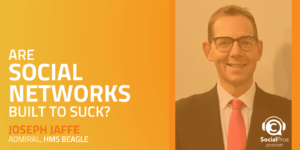 Jay Baer: Yup, no question about it. I’m going to ask you the two questions that we’ve asked all 298 previous guests on Social Pros, Erik. Jay Baer: It’s a lot, it’s a lot to take in. First question, Erik Huddleston, CEO of TrendKite, what one tip would you give somebody who is looking to become a social pro? Jay Baer: Yeah, I love it. Last question, if you could do a Skype call with any living person who would it be? Erik Huddleston: What are you talking about, I just did it. Jay Baer: Other than Adam and I, who would be your backup? Yeah, who would be your backup plan? Erik Huddleston: Oh my gosh. There are so many great choices today, I’d have a great conversation with the Slack CEO and because my first question I would have for him is why he has a Skype account. Jay Baer: Touche, well played, absolutely. Do you guys use Slack at TrendKite? Erik Huddleston: Oh my gosh, I think it is our number one productivity driver and our number one productivity distractor and I don’t know how it nets out. Jay Baer: Yeah, I guess that’s the, it give but then it taketh away attention, right? Erik Huddleston: Everything rolled into one. Jay Baer: That’s how it goes. Erik, thanks so much for the time. Congratulations on the great work with TrendKite, it’s an amazing platform, TrendKite.com. Social Pros listeners to find out how to manage and measure the effectiveness of your owned media and or I should say not owned, earned media both online and offline. It’s super slick. TrendKite.com. Erik, thanks for being here. We really appreciate it. Erik Huddleston: Thank you so much. Jay Baer: On behalf of Adam Brown from Salesforce Marketing Cloud, I am as always Jay Baer from Convince and Convert. This has been episode 299 of Social Pros, go to SocialPros.com, you can get every single show we’ve ever done, show notes, recordings and make sure to tune in for our very special 300th episode celebration. It’s a whole week long, it’s going to be live on Facebook. Check it out. We will see you there and then until next time this has been Social Pros.